Thank you! Thank you! Thank you! 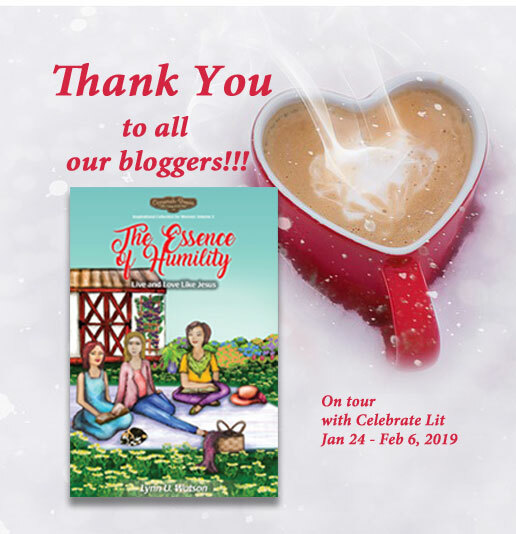 The Essence of Humility (via Celebrate Lit) toured 20 blogs over the last two weeks! Each of the bloggers spent their time reading and reviewing the book. How humbling. And they left so many great comments. A few are shared below. If I included all the kudos, the post would be a bit long. You probably would not read it all. There is Giveaway package offer open for two more days (Feb 8, 2019). Visit these blog posts and the others listed in theirs to enter! You’ll see the cool gift basket featured on each of the blog posts, as well! “I truly enjoyed The Essence of Humility and I found it to be entertaining, thought-provoking and very inspirational. This is a very different kind of devotional book but it is one that I plan to use over and over!” ~Connie Porter Saunders at Older & Smarter?